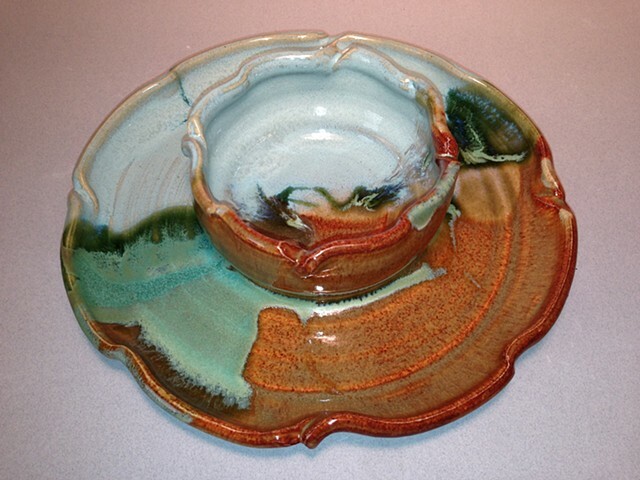 This chip and dip is wheel-thrown and then altered. It is both beautiful and versatile for serving all your favorite dishes. It is dishwasher safe and microwaveable.